Cadsoft Eagle is a multi-platform freeware circuit layout program. Lots of open source hardware is designed in Eagle, and it’s become a hobbyist favorite. We use it for all of our hardware designs. 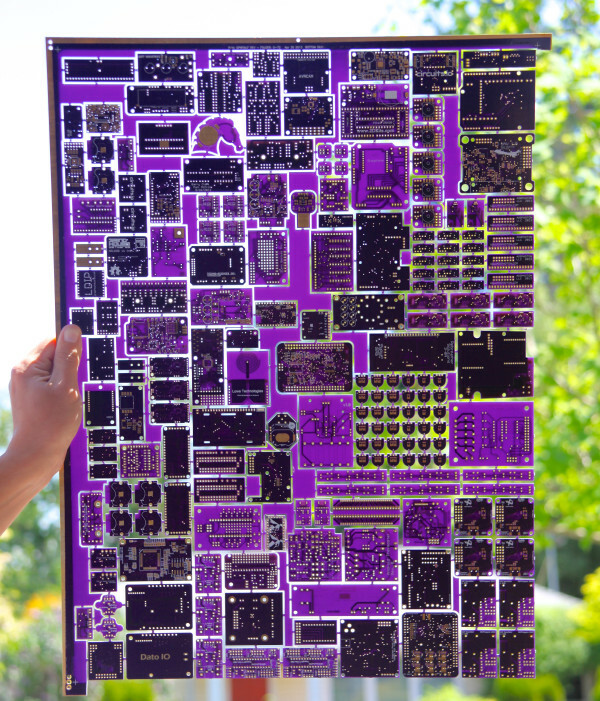 There are several ways to turn an Eagle design into an actual printed circuit board (PCB). We’ll show you how to save Eagle designs as industry-standard gerber files that are accepted by any PCB manufacturer. You can use the gerbers to order a single prototype, or a full panel.